Efficient utilization of scarce resources is an issue for any healthcare system. In developing countries, proper tools, techniques, and resources must be widely used in healthcare operational planning. Considering the necessity of effective resource planning, this study focuses on the rural healthcare system of Bangladesh and concentrates on the sub-district government hospital laboratory. The authors’ determine possible ways to improve operations of laboratory facilities. To analyze existing system efficiency, sample laboratory data is fed into a simulation model. This paper identifies several possible ways for future expansion and suggests using simulation for better planning and analysis. The growth of health service systems in many developing countries is hindered due to wasteful planning and operations. Managing health facilities within limited resource and desired service quality is a big challenge for decision makers. Decision-makers need to investigate efficacy and efficiency of existing healthcare systems, and must be able to evaluate the outcomes of any changes they make to these systems (Ahmed & Alkhamis, 2009). In developing countries, proper tools and techniques, and resources for effective planning are important. In this regard, Operations Research (OR) can play an important role. Unfortunately, applications of OR techniques are not widely used by healthcare planners to solve these problems. For healthcare programmes, OR study is essential and is a systematic process of identifying and solving programme problems (Fisher, Laing, Stoeckel, & Townsend, 1991). 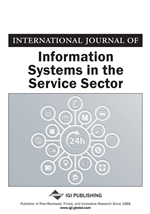 ‘The process of OR is designed to increase the efficiency, effectiveness, and quality of services delivered by providers; and the availability, accessibility, and acceptability of services desired by users’ (Fisher et al., 1991). Or has been applied in the domain of healthcare for more than 40 years (Brailsford, 2007). Comparing two major developed parts of the world, healthcare OR in the United States has largely been focused on the application of ‘hard’ OR techniques (Sachdeva, Williams, & Quigley, 2007). In contrast, healthcare OR in Europe, including the UK, are focusing towards ‘soft’ OR techniques, with growing attempts to combine hard and soft OR methodologies (Lehaney, 1996; Easterby-Smith, Thorpe, & Lowe, 2002). However, OR has had limited success in the implementation of results in practice in the healthcare setting. The outcomes of the research may not be sufficient to motivate a change in practice by physicians, particularly for politically sensitive or controversial decisions (Sachdeva, Williams, & Quigley, 2007; Fone et al., 2003). In the developing world, application of OR has different meaning. Aggarwal (1994) has pointed out that the concept of OR in developing countries is different from that found in the developed world. The term “OR” may not be used to describe the approach being taken. Decision-makers have different assumptions from those familiar in ‘‘traditional’’ OR methodology. Aggarwal writes: “The primary objective pursued in each case was to make the situation tolerable for as many people as possible.” There is considerable interest in the potential for using OR in developing countries. One sign of this is the formation of new societies for OR scientists in countries and regions where no such society had existed. Survey shows that out of 279 OR research studies in West Africa, 33(12%) were conducted on healthcare sector and the sector ranks within top three applications of OR (Smith, 2008). The formulation of OR models for healthcare decisions in developing countries are important, but at present formulation and solution of healthcare facilities by quantitative models is limited to developed regions only (Parker, 1990). Since 1990, there have been many improvements in using the OR tools and techniques in planning and decision making in developed world. However, the gap still remains between developed and developing world in terms of OR application in healthcare planning. The formulation of ‘hard’ and ‘soft’ form of OR models for healthcare decisions in developing countries are important. In the Ministry of Health and Family Welfare (MOHFW) of Bangladesh, OR processes are not widely used by healthcare planners and service providers. Within the MOHFW there is a tendency for a biased trial and error planning process. The lack of a ‘what if?’ analysis tool makes existing studies ‘barefooted OR’ (Rahman, 1998). To improve the current situation, it is important to strengthen and institutionalise the OR process. Recommended strategies to institutionalise OR within the system are to strengthen the capacity of the organisations to conduct and use OR, to improve the methodologies used, and to assist managers to incorporate OR into routine planning and management practice (Population Council, 1998).